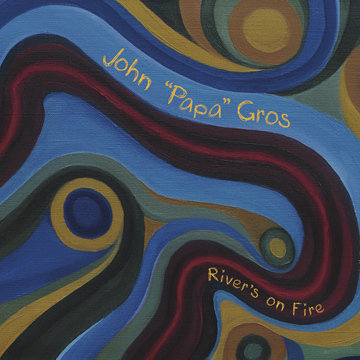 John “Papa” Gros has one of the most distinctive voices, and also the clearest enunciation in jazz. His words are direct, the songs are voluminous and for over a quarter of a century he has produced music which championed the music of New Orleans. In August 2016, he released River’s On Fire, which combines jazz, funk, rock and roll and a touch of reggae into an un-boxable genre all his own. 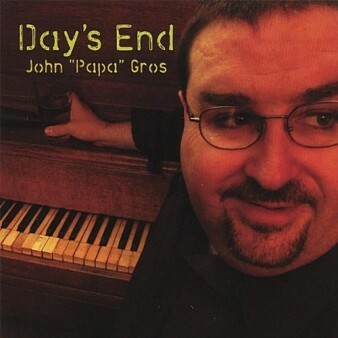 Throughout the album, there are references to the historical sound and places of the Big Easy whilst Gros takes the listener to a newly crafted landscape which will undoubtedly contribute to its future. River’s On Fire is one of those albums you “see,” because the stories are so clearly and well told, with the composition backing them up so that you feel like you are on a journey with the storyteller. It may be a walk away from jazz towards something totally funky, but you can hear the jazz in there. Each song is a tale in itself, and deftly told. Gros has an amazing voice and such a warmth comes across; it is very engaging.